Anger attacks have been observed in patients with obsessive-compulsive disorder (OCD), often triggered by obsessional triggers. However, few studies have reported the clinical characteristics and correlates of anger attacks among Chinese patients with OCD. A total of 90 adults with a primary diagnosis of OCD, ranging from 15 to 78 years old, participated in the study. Participants were administered the Rage Outbursts and Anger Rating Scale (ROARS), Yale-Brown Obsessive-Compulsive Scale-Second Edition, and Brown Assessment of Beliefs Scale by a trained clinician. Patients completed the Obsessive-Compulsive Inventory-Revised and Depression Anxiety Stress Scale-21. A total of 31.3% of participants reported anger outbursts in the past week, and ROARS scores had no significant correlation with age, duration of illness, OCD severity, depression, or stress. However, ROARS scores were negatively related to education level, and positively related to obsessing symptoms and anxiety. These data suggest that anger attacks are relatively common in Chinese patients with OCD. The severity of anger attacks is related to educational level, obsessing symptoms, and anxiety, which may be a latent variable reflecting executive functioning and emotion regulation skills. 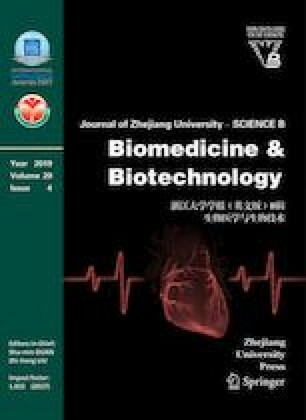 The authors thank all participants and Tessa M. H. NEDERPE (as an internship in Department of Functional Neurosurgery, Ruijin Hospital, Shanghai Jiao Tong University School of Medicine, Shanghai, China) who gave useful suggestions and language modification.